We often describe Old Hill’s asset- based lending products as strong adjuncts to fixed-income income allocations. However, some investors face particular pressure to earn adequate risk-adjusted returns without overly exposing their portfolios to excessive risk. 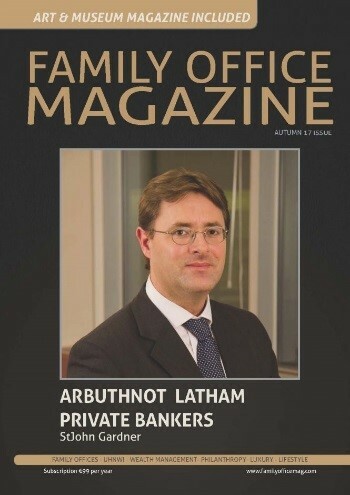 Family offices are a good example, and we were recently invited to contribute to the current issue of Family Office Magazine on the subject. Like most investors, family offices have been challenged by the persistently low-interest rate environment since the financial crisis, and by the unprecedented search for yield it has engendered. Indeed, the old adage about more money being lost reaching for yield than by the point of a gun undoubtedly looms large in the minds of most capital allocators these days. However, family offices are tasked with walking a finer line between generating decent returns and taking unacceptable risks. Accordingly, they are increasingly interested in the private credit space in general, and the asset-based lending niche in particular. This is for good reason. Asset-based lending is attractive to family offices because it allows them to act as a direct lender to companies, instead of going through an intermediating financial institution. When properly executed, this method provides for significantly greater due diligence going into potential transactions – and thus better risk mitigation from the outset – as well as greater comfort about borrowers and their collateral. These transactions are underwritten with an emphasis on capital preservation and income generation, facets that immediately appeal to family offices. They typically yield above other public fixed income instruments due primarily to their illiquidity, not because they face materially higher issuer, interest rate or market risk. In fact, although it has historically been considered a disadvantage, the lack of liquidity in well-structured asset-based transactions actually provides investors with the opposite; a risk-adjusted yield pickup of 400-700 basis points, and relative immunity from the mark-to-market challenges volatility of traded credit market volatility. In addition, most private asset-based loans are structured with floating-rate coupons, ensuring protection against rising benchmark interest rates, while correlation with other asset classes typically found in family office portfolios is also low. Moreover, they are typically backed by various forms of collateral including corporate credit, real estate, infrastructure, and hard, financial or esoteric assets, further protecting investor capital in case problems arise down the road. Finally, although there is a perception that default rates among private asset-based loans is high, the data suggests otherwise. Senior secured loans have similar long-term default rates as seen in the non-investment grade high-yield corporate bond world – 3.6% and 3.5%, according to Prudential data – while recovery rates are significantly higher at 70% vs. 40%. However, the asset-based loan market is not a simple one, especially for resource-constrained investors like family offices that don’t necessarily have a lot of manpower available. The process of identifying, structuring, underwriting and monitoring a private debt transaction and its collateral is complicated, variable, labor-intensive and is by no means a one-size-fits-all process, making it a challenge for all but the largest family offices to execute in-house. A good example is collateral analysis, a critical element of any asset-based transaction. We focus intently on loan-to-value when contemplating a transaction, and we typically lend 35%-85% of the value of the collateral depending on potential recovery value and liquidity. This loan-to-value calibration is vital, and can be raised or lowered depending on the strength of the collateral, the borrower, and how much of the borrower’s own capital is at risk as well. Indeed, knowing one’s way around different types of collateral requires careful analysis and experience, and highlights one of the many advantages of allocating to specialists experienced in this niche. The bottom line for family offices – or any other fixed-income investor – is yield will remain very difficult to find in traded credit markets for the foreseeable future, particularly without accepting large levels of issuer, market, or political risk. As such, those looking for current income generation and adequate protection of principal should consider devoting a portion of their fixed-income allocation to carefully structured and analyzed asset-based loans as a way to generate attractive risk-adjusted returns while maintaining interest rate protection.